I have been called the “finance foodie” ever since my sophomore year in college at Texas. It was that year my five best friends and I formed our Supper Club – no matter how busy we were, we would always make time one day each week to get together, catch up and try a new dining spot in town. I would look forward to our weekly meetups; not only was it a chance to try a new local delicacy, but it also was a great time to reconnect with good friends after a long week of learning the “Other F” (Finance). 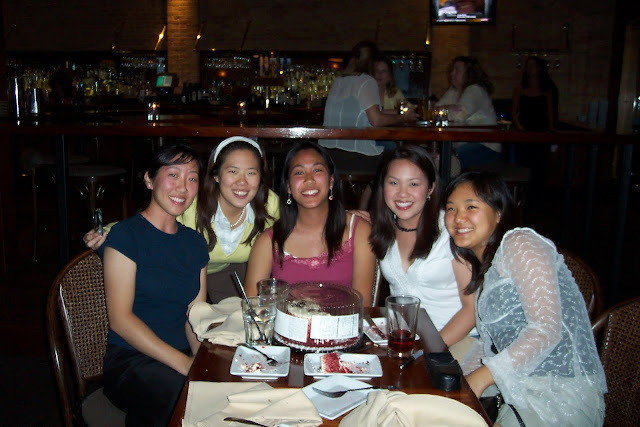 Even though the five of us decided to live in different parts of the country after graduation (Houston, New Orleans, Palo Alto and Boston), we still take the time our of our busy lives to regroup annually for a weekend to take a trip down memory lane! This year our meetup spot happened to be…you guessed it – Beantown USA! As the “Head Foodie” host, I wanted to make sure my BFFs experienced the best of the Boston food scene – in every price range (after all, this was the first visit to Boston for a few of my buds – first impressions last a lifetime!). It was a merry weekend filled with laughter, gossip, and (of course!) 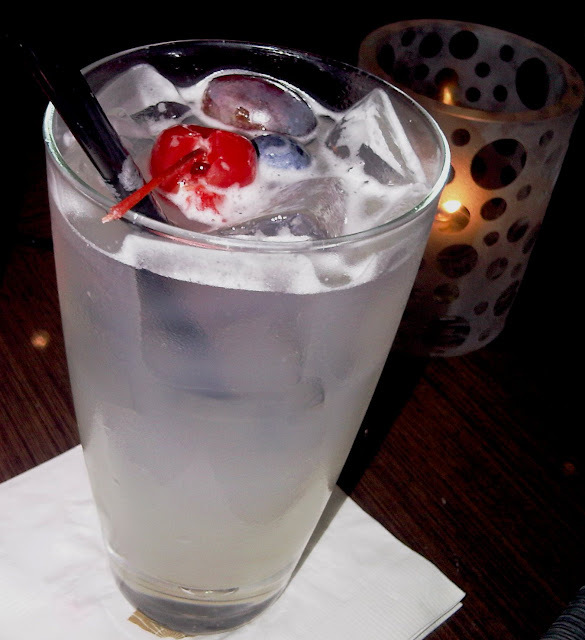 good food and drink -- below are some of our foodie highlights! So a few weeks ago, I got word that one of my favorite casual comfort food diners, Rock Bottom Brewery (www.rockbottom.com/boston) underwent a complete renovation. When I say complete renovation, I mean the whole nine yards – new furniture, new patio, and new menu options! I was super pumped to check this out so I had to stop by for lunch (with the Supper Club as my second pair of eyes and stomach). Rock Bottom was hands down one of our favorite stops in the weekend! Our table especially loved the Asiago Artichoke and Crab Dip served with buttered toasted baguette bread – the hearty chunks of crab really gave the creamy asiago dip a nice texture. Another favorite was the Lobster and Shrimp Mac ‘n Cheese – the pasta was cooked perfectly al dente and the Parmesan-Havarti cheese sauce was a fun and exotic change of pace from the more banal cheddar cheese usually seen in M&C dishes. Now a word of warning to the calorie conscious -- Rock Bottom is a best bet when you have a hankering for comfort food favorites. In other words, the portions here are generous and butter is doled out like water. But in life, occasional splurges are a-ok –and I will definitely be spending my splurge “points” at Rock Bottom again in the future! 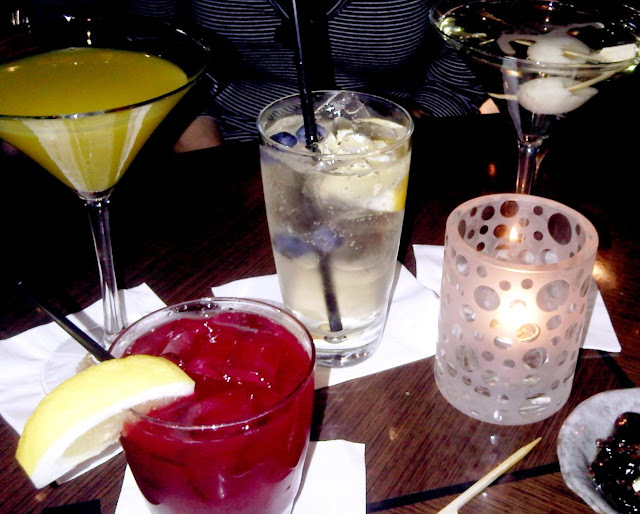 Whenever out-of-town visitors want to meet up for drinks in Boston, my go-to-spot is usually the M Bar at the Mandarin Oriental (http://www.mandarinoriental.com/boston/dining/m_bar/). Not only is the M Bar super close by to my apartment (me=convenience=must), it’s also has the super classy MO vibe but with a laid back feel (read: I wouldn’t advise showing up in a t-shirt and Tevas, but patrons don’t have to dress-to-the-nines to imbibe on exquisite cocktails in a refined setting). When our party arrived, we were immediately seated in cute little booth and presented honey roasted almonds and marinated olive niblets to snack on as we mulled over our drink orders. So what did our group like? The Morello Cherry (Effen black cherry, St Germain, fresh lemon juice and morello cherry puree) cocktail was a clear winner among those of us who preferred a sweeter and fruitier drink while the Monsieur (Grey Goose with St. Germain topped with Duval Leroy Paris champagne) was a favorite of those who liked their drinks smooth and straight up. Cocktails are a bit pricey ($15 a piece) but the craftsmanship and presentation really justify the expense. For the non-drinkers/designated drivers, the M has got you covered as well – try the East (lemon juice, lime juice, almond syrup, Sprite) – it’s sweet, nutty, and refreshing without posing the risk of a hangover come next morning! Boston is home to a myriad number of frozen treats spots – Emack and Bolio’s, JP Licks, and now the NYC transplant Pinkberry – I tell you I have tried them all but non can compare to my new favorite spot, BoYo Natural Frozen Yogurt (www.boyofroyo.com). Why? Because there is something for everyone here! For the gelato lovers, the coconut gelato is a must (you can actually taste the flakes in the concoction!). Die-hard ice cream fans can also rejoice as BoYo recently started carrying a few flavors of local favorite Brigham’s ice cream (the strawberry was my favorite). Of course, the bread and butter of BoYo is…their froyo (obviously!). I loved the margarita flavor topped with kiwi, mochi, and blackberries – YUM (they usually have four flavors that rotate daily – and numerous toppings to choose from)! Don’t like frozen treats (what’s wrong with you? ;)? BoYo also has a candy bar with bulk candy by the pound. Be sure to try the Boston Baked Beans – it’s one of my (and hometown hero Mark Wahlburg’s) faves! Fantastic post, as always!! Thanks soo much for hosting us to great food and a wonderful time! !